I was in Guangzhou in late March for a customer visit, and got an opportunity on a Saturday morning to do some sightseeing around town before continuing with my business travel in the country. As usual, my favorite tour spot is the book store. 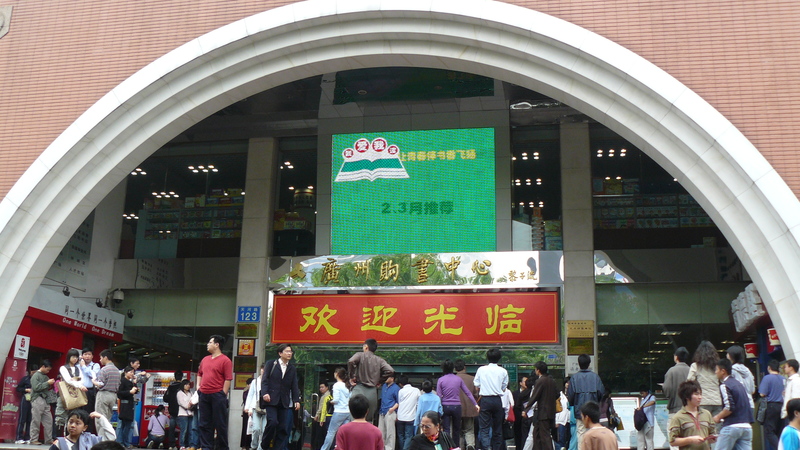 In Guangzhou, and most cities in China, instead of book stores, they have book town (书城). I visited the book town at Tian He (天和), and the first sight upon arrival was a big crowd of job seekers outside the main book mall (see photos below.) They were all crowding around make-shift stalls where job offers were posted, and registration were being taken. The book mall is five stories high, all stuffed with books, from kids educational material to serious academic books and references. At the 5th floor is a small English books outlet. I went to the computer science section and discovered a bookshelf (of about 3 meters width and 1.5 meter height) of computer/information security books, all in Chinese. It has three sub-shelves, and about two-third or more of it contained various kinds of hacking and hacker related books, and less than one shelf of protection related stuff. Of those hacking related books, a small portion is translated books, i.e., those that we can find in popular book stores in Singapore and the US. The rest are locally published books. See photos below. They include detailed information on exploit developments, use of exploit tools, etc., with little information on how to implement security, or secure the various platforms or applications discussed. This imbalance in the kind of information/computer security related material on the bookshelves is a concern. It could be indirectly promoting learning the exploit tactics without really improving understanding of security protection. 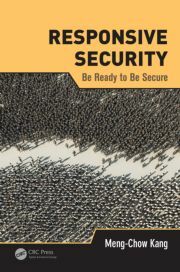 Having said that, of the relatively small number of protection related material available, there were a few publications from universities that provided comprehensive treatment of information security as a knowledge domain, including material on China’s information security development and status, all in Chinese though. Reflecting upon the above observations, I wonder how many jobs being offered and sought outside the book mall was security or hacking related. Maybe the disproportion of security versus hacking knowledge distribution in the book mall doesn’t really matter after all. Or maybe it does. I enjoyed the rest of the day at the computer mall after picking up a few of the protection related books that provide some insights on the development in China.